"Beer before wine and you'll feel fine; wine before beer and you'll feel queer" goes the age-old aphorism. But scientists have now shown that it doesn't matter how you order your drinks—if you drink too much, you're still likely to be ill. There are no effective hangover remedies—instead, societies appear to rely on folk remedies (such as 'hair of the dog') and old folk sayings. Such sayings exist in numerous languages: other examples in English include "Grape or grain, but never the twain", while Germans claim "Wein auf Bier, das rat' ich Dir—Bier auf Wein, das lass' sein" and the French say "Bière sur vin est venin, vin sur bière est belle manière". 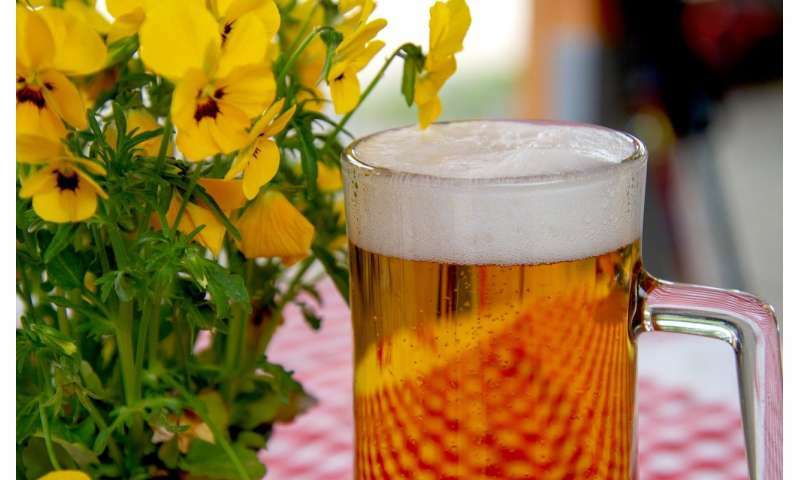 "Using white wine and lager beer, we didn't find any truth in the idea that drinking beer before wine gives you a milder hangover than the other way around," says first author Jöran Köchling from Witten/Herdecke University. "The truth is that drinking too much of any alcoholic drink is likely to result in a hangover. The only reliable way of predicting how miserable you'll feel the next day is by how drunk you feel and whether you are sick. We should all pay attention to these red flags when drinking." Dr. Kai Hensel, a senior clinical fellow at the University of Cambridge and senior author of the study, adds: "Unpleasant as hangovers are, we should remember that they do have one important benefit, at least: they are a protective warning sign that will certainly have aided humans over the ages to change their future behaviour. In other words, they can help us learn from our mistakes." Dr. Hensel says that there were two main reasons for carrying you the study. "Firstly," he says, "a clear result in favour of one particular order could help to reduce hangovers and help many people have a better day after a long night out. Unfortunately, we found that there was no way to avoid the inevitable hangover just by favouring one order over another. "But this study was also about showing, in a public-friendly manner, how a rigorously-conducted study can provide a solid answer to a specific question and be engaging at the same time. We hope it will help inspire next generation of young doctors and researchers to be engaged in a research-driven environment." Is mixing drinks actually bad?